Blog Post Ideas | What Do I Write About??? Oh yeah, it’s Friday! But wait- you still have one last blog post to write before the weekend! You’ve written several already this week and it seems like you’ve exhausted all possible topics. How do you generate great blog post ideas so that you can still produce stellar content? This isn’t just about writer’s block, you don’t even have an idea that’s blocked yet. In case you were wondering, this blog is definitely unrelated to my feeling when I saw I had one more post due today… Anyway, you know you need to get writing, but where do you start? There are plenty of goals that you could have for any given blog post. Some of them may even overlap with one another. While some of the more tangible goals for a blog post may include encouraging conversions, others can just be about attracting a certain audience. Between these two extremes, you could be writing your blog for any number of reasons. Whether that is to inspire trust from your readers or compile the perspectives of some influencers, there is no bad game plan for writing a blog. That is unless you have no game plan. 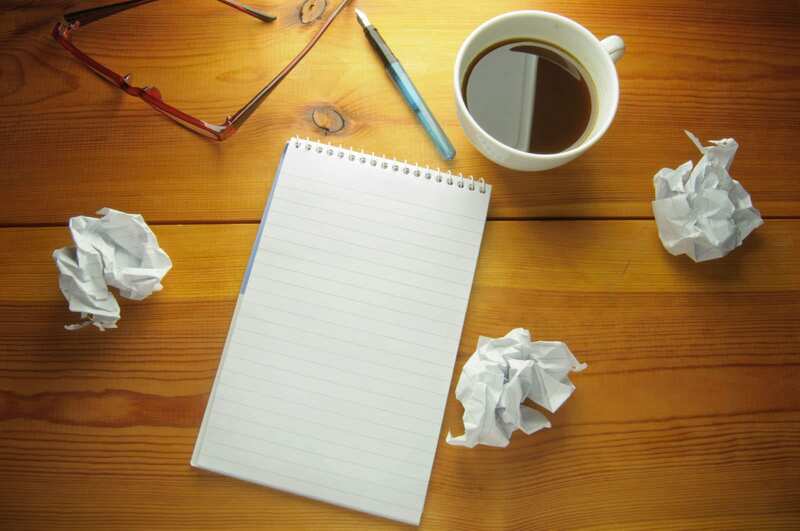 Coming up with great blog post ideas will be infinitely easier if you know why you are writing. Once you do, you’re ready to think about what you’re writing. Of course, the question you’ve already been struggling with is, “what do I write about?” This certainly qualifies as a question, but not the type of question that can help you generate an original blog post idea. As you consider different topics, ask yourself more specific questions. For example, “what do I want to learn more about?” This can be especially helpful when writing about a specific industry. Any industry you could be writing for certainly has its fair share of intricacies that can be difficult to keep up with. However, if you are able to identify a specific trend or theme within that industry that interests you, it will be much easier to find that perfect blog post idea. Another great question to ask yourself is, “what do people ask me?” If your site offers a frequently asked questions page, this can be a great place to start. After all, this can tell you exactly what your audience wants to know! Now that you have a general direction (hopefully!) it’s time to start reading! Keep in mind, if you still don’t have an idea for a theme, it may be a good idea to ask yourself a few more questions. While reading can certainly help inspire ideas regardless of whether or not you already have a theme, having some direction can help you identify sources to check out. Assuming you have that direction, search several unique queries that relate to your theme. For example, if you want to write an article about SEO, search queries like “SEO trends” or “guide to SEO.” Identify reputable sources and read on! You’ll likely learn a lot and very well may find a specific topic that you want to write about. Hopefully, this article has helped give you some insight for creating blog post ideas. Of course, these recommendations are not all-inclusive. There are plenty of other ways to think of topics. However, the tips given above are a great place to start and are usually how I come up with my blog post ideas. At this point, the hard part should be over! Now it’s time to start writing. Need some help with this next step? Look no further than these awesome blog writing tips! As always, write on! After all, content marketing is alive and well. As we enter the fourth quarter, (a fancy business term for it’s closer to Christmas) we’re looking forward to a lot of big things on the horizon! As anyone in our orbit knows, this year has been quite the kaleidoscope of events for the whole Track5 family. We’ve had our fair share of ups and downs, but it’s made us all more dedicated than ever to bringing great products and services to our clients throughout the country. The fall and winter months are usually a great time to be a part of such a hardworking team — there’s always something to look forward to and this year is no exception! As we stride across the finish line we’re already looking at the next marathon, and we want you to be a part of that! Part of keeping up with such an ever-changing digital world is having the analog components (human beings) to do just that, meaning to say, WE ARE HIRING! 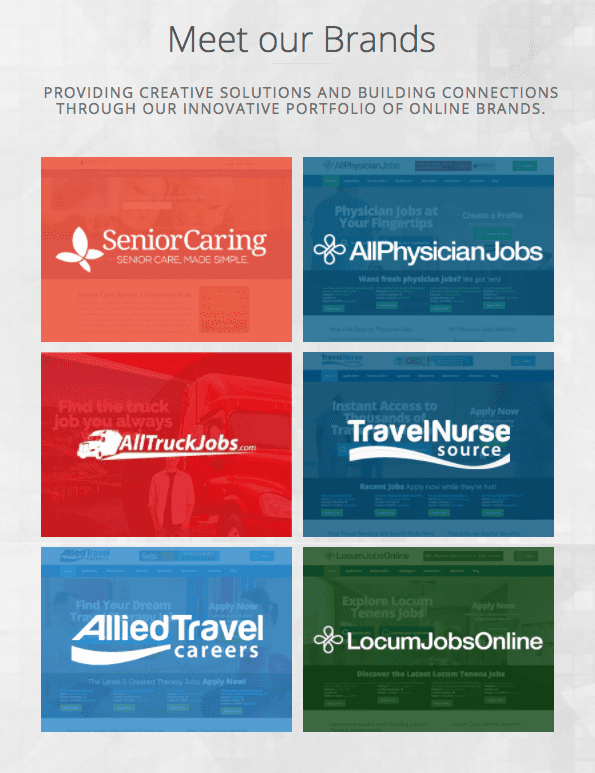 To give you the basics, Track5Media owns several online job boards in the medical vertical, senior care, and commercial trucking. We do all of our software development, marketing, sales, and account management right here in Lancaster, along with several remote developers to do lots of heavy lifting. But why work at Track5Media you may ask? Allow me to guide you through the wonderful world of Wheatland Avenue! … That’s the street we’re on, in case you didn’t know. Alright, let’s get to it! So just to get this out of the way *cough look at our shiny things cough* Track5Media has earned some great awards over the past year and a half. Last November we were awarded Business of the Year in the 1 to 50 employees category by the Central Penn Business Journal. Then not shortly after, our president Oliver Feakins earned the 40 under 40 Award, capping off a stellar year! But enough of that, because you want to know why on Earth you should spend 5 days a week with us, right? To start, Track5Media is a place where good ideas don’t go unnoticed and creative projects are always preferred. Whether you’re looking for a way to grow as a digital marketer or a computer programmer (please be a computer programmer), we’ve got open positions just waiting for applicants! Those interested in account management and sales are also encouraged to keep checking for openings as well — we’re not kidding around when we say we’re expanding quickly. 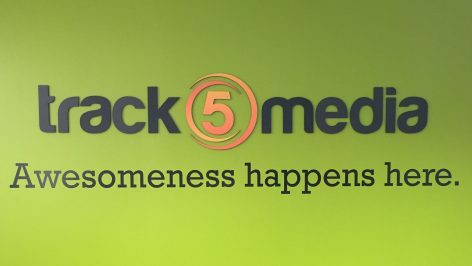 Besides having a relaxed and open atmosphere, Track5Media is a company that tries to get involved and helps whenever we can. One of our favorite events is our annual Day of Giving, where we send a team of Santas, a Mrs. Clause or two, and some elves out into the community to provide local charities and shelters with some holiday cheer. Recently, Oliver, and his wife Nadina, have launched a charity of their own called The Feakins Foundation. Their goal is to help immigrants achieve success by gaining access to post-secondary education and realizing their dreams through a network of community support. For examples of our willingness to have a good time, look no further than our annual trip to Hershey Park or the ice cream outings we take every couple of months! And if you’re like 99% of the people in this office, food is a direct route to the heart, so feel free to take advantage of a full cereal bar and a wide range of coffees and other snacks. Then, throughout the year the entire team actually receives IN-HOUSE MASSAGES from our favorite local masseuse, Leah for a whopping 30 minutes of relaxation. I mean seriously, who else is going to pay you to get a massage?! Okay, I know this blog was a flashy attempt to bring you aboard, but with all of that on the table it comes down to this — You bring us your talent, and we’ll bring you a vibrant career as part of our award-winning team! So really, send us your resume or give us a call today and we’ll look forward to working with you. It’s no secret that Lancaster, PA has quickly become a hub for all things marketing and digital media related, which is exactly why a conference dedicated to just that has many in the industry buzzing. The Lancaster Insight Marketing Conference created by the Lancaster Marketing Group (LMG) will showcase local and national experts when it comes to marketing in the digital realm. 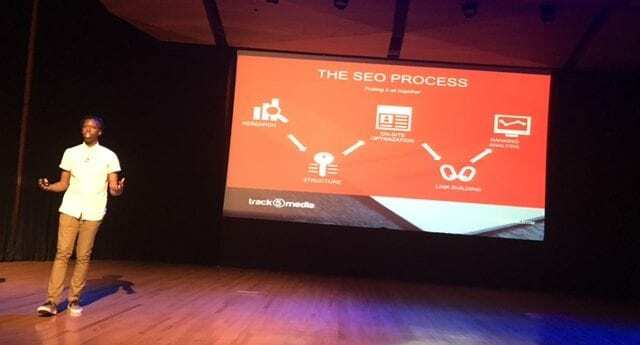 If you keep up with our blog, you might remember that we actually had a few presenters from Track5Media showcase their knowledge on the big stage, and you can be sure that we’re back again with an even more comprehensive presentation. 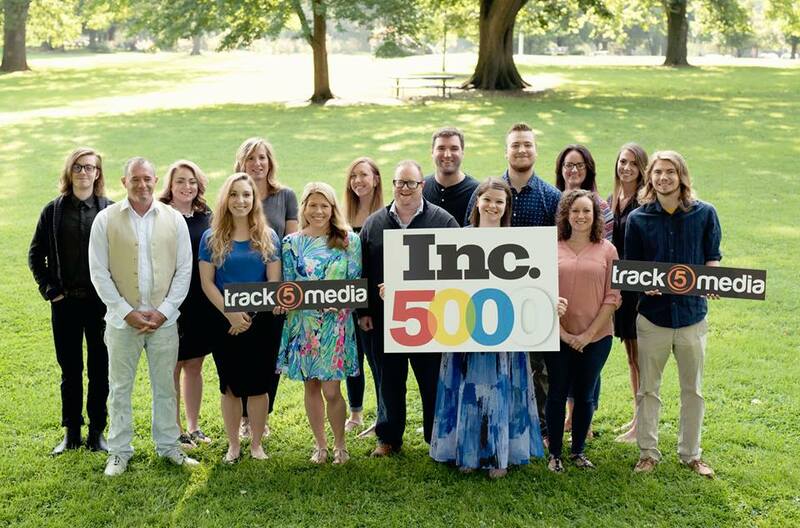 We’ve got current and former Track5 employees ready to grace the stage as well as a variety of other industry experts from right in Lancaster and all across the nation. Below we’ll hit on just a few on the guest speakers, but if you want, check out the entire list at the Insight Conference website. Of course, we have to start with our dynamic duo from right here at Track5Media. This will be Oliver’s second year presenting, but Will Lewis will make his rookie debut on the big stage as they both cover CRO or Conversion Rate Optimization. Here they’ll cover best practices on how to convert your traffic to peak capacity as well as show why it’s important to analyze your traffic, especially at the bottom of the conversion funnel. CRO is something we take very seriously over here at Track5Media, so make sure to grab a front row for this one! “I’m excited because I get to talk about something that I’m very interested and passionate about. CRO is a topic that’s not talked about a lot, so it’ll be fun to educate people on the topic. It’s also the first time I’ve ever done any type of public speaking, and I’m looking forward to being out of my comfort zone. I’m also looking forward to working with Oliver to create a great presentation for our audience,” says Lewis. If Ekom’s name sounds familiar, that’s because last year she teamed up with Oliver to school the audience on some SEO best practices. Since her last speaking Ekom decided to further her education and lend her SEO and search expertise by going reverse-Lebron and taking her talents to Cleveland. However, Ekom is back and will be presenting yet again this year. Now an SEO and paid search specialist for Make & Model marketing, Ekom will be schooling the crowd on how local companies can leverage local SEO and marketing and crush the competition. As local search becomes more critical as your local search gets more crowded, you’ll want to check out Ekom’s presentation so you know how to set yourself apart from the crowd. After a recent stop at the Philadelphia Digital Summit, Ann is bringing her marketing expertise to the Insight Marketing Conference in Lancaster as this year’s keynote speaker. The best-selling author seriously knows content marketing. With books like Everybody Writes and Content Rules, it’s no surprise that Ann is one of the most in-demand keynote speakers in the marketing industry. In her keynote, she’ll be covering tips and tricks for producing engaging content that will not only entertain readers but convert them into loyal customers as well. Content is king, and if you want to bring traffic to your site through writing, Ann is the perfect person to listen to. Last year’s keynote speaker, Kerry O’Shea Gorgone is returning for her second year to discuss brand influence. The senior program manager for Marketingprofs, Gorgone has a lot of experience finding influencers that will champion a brand for little or no cost. In her session, she’ll show you how you can create your very own influencer marketing program. If you’re still interested in attending the Insight Marketing Conference, tickets are still available on the website.